Feeling Stuck? Follow Your Love. Have you reached a certain level of success in business but feel a little bit… off? Stuck? Is your to-do list never ending? Do those checks off the list make you feel more stressed, no longer giving you the relief you expect? If you find yourself thinking “I’m not enough” after all those checks off the list, you’re in the right place. Today’s message is addressing this issue for Women Leaders. “I’m not Enough” is the conversation blinding women entrepreneurs of their potential. This Deficit Epidemic tells us that in order to succeed you have to DO more and fill voids of unworthiness so you can be good enough. 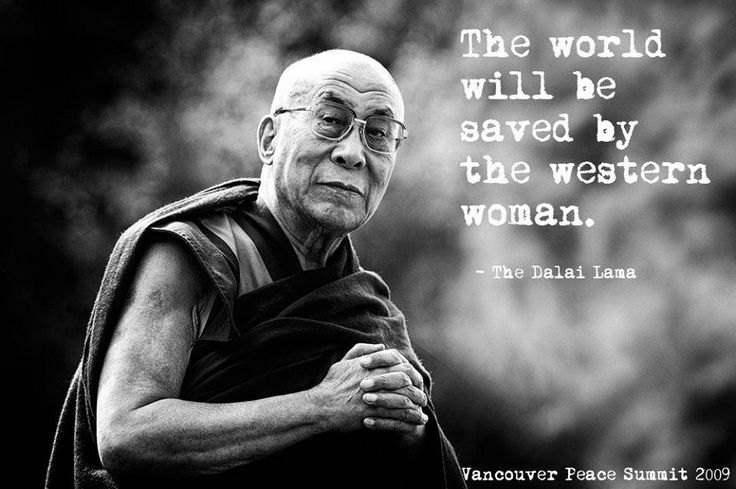 Sure, the Dalai Lama called women leaders forth to save the world, but if we continue to DO, DO, DO, and forget to receive, dance, and believe, your love will not be realized and your legacy will be left in the dust. (Do + Give + Suppress + Push + Deliver + Freak Out) Repeat = Crash. This is a formula for overwhelm and zero connection to your larger vision and purpose. I’m calling bullsh*t on this conversation. The Way of the Business Woman is an old story. We need a new formula. We need a new blueprint. A successful business isn’t the number one goal of the wild woman entrepreneur. Your whole human experience must be supported as a woman entrepreneur. When your emotions are ignored and your energy depletes, it’s impossible to believe in yourself and go to the next level of impact. The next level of impact requires a feminine energy you may have forgotten about. Today more than ever our world needs balance, clarity, healing and LOVE. The power of your love as a feminine leader is remarkable. If you follow this love, you’ll get exactly what you want in this lifetime. Your only job is to listen to yourself. Your true self. My assignment for you this week is to follow your love first and last. What words do you love? Collage them on Pinterest. What outfits do you love? Wear them. Who do you love? Spend time with them. What meals do you love? Eat them. What does your body love? Receive it. What subjects do you love? Write, teach, coach, and speak about them. Love is the bottom line for the Wild Woman Entrepreneur. Notice what opens up today and tomorrow when you follow your love. You’ll find the inspiration you’ve waiting for. You can’t go wrong when you you add more LOVE to your life. Your love is who you are. When you strip away the plan, who’s underneath the goal? Who’s underneath the worry? The Wild Woman Entrepreneur is glorious without any effort. When you DO from the space of LOVE, your work becomes an act of freedom and contribution. When you work from the space of I AM ENOUGH NOW, there’s no way to feel defeated, less than, or unworthy. This is when the magic happens. Follow your soul, not the goal. Your soul will take you light years beyond any goal of your mind. As you take your LOVE on, please please keep me posted by commenting below anytime you have a breakthrough. I want to hear about it! P.S. 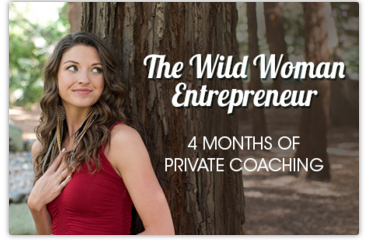 Due to wild demand, I’ve extended the bonuses of my Wild Woman Entrepreneur Program! Click the picture below for more information. This program will help you believe in yourself and stay the course no matter what curve ball life throws you + so. much. more. Want content like this delivered to your inbox? Sign up to join my mailing list.